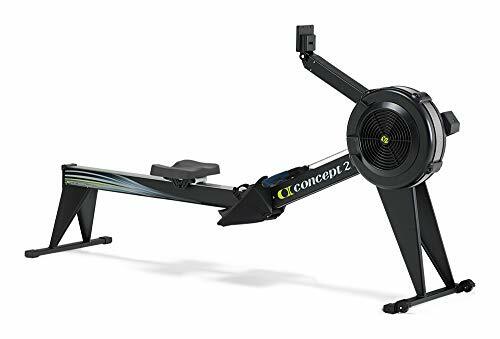 Aesthetically, the 2716-1BX E indoor rower is the luxury machine of the indoor rower world. Solid and sleek, the 2716-1BX E will hold its own in a fitness center or home gym. The 2716-1BX E offers presence and durability with its 20 inch frame height and double powder coat with glossy finish. From a practical standpoint, the higher frame means easier on-and-off for those with tired knees or mobility considerations. The finish protects against scratches. One-piece leg design for both the front and rear legs results in stability and a solid feel. The performance monitor 5 allows you to track data such as distance, speed, pace, calories burned, and watts. A backlit display screen illuminates automatically when you start your workout. The user-friendly menu helps you manage a wide range of features such as preset workouts, games, and multiple languages. Store or transfer your performance data to your Mac or pc with a USB flash drive (not included). ANT+ and Bluetooth Smart connectivity allow you to pair with compatible heart rate monitors for wireless heart rate monitoring. The wireless capabilities of the PM5 also support machine-to-machine racing and connectivity to computers and smartphones. Included with every purchase: user manual, pm quick start guide, tools and assembly instructions. The 2716-1BX E is covered by Concept2 limited 5-year warranty on the frame and 2-year warranty on the pm and moving parts.